Thank you Oregon Association of REALTORS® for partnering with Tillamook County Habitat for Humanity to support affordable housing solutions in our community. 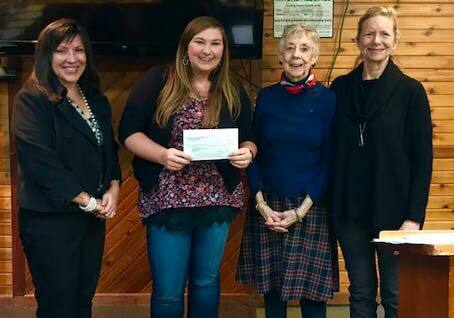 A $5,000 check was presented today by OAR President Valerie Schumann to Executive Director Cami Aufdermauer and Board Members Debbie Carr & Barbara Taylor. This money will be used to fund both the current Habitat Homebuild in central Tillamook and our Ramps & Rails Program serving seniors, people with disabilities, and veterans with in-home safety modifications. This entry was posted in News & Blog. Bookmark the permalink. Wednesday - Saturday: 10 a.m. - 5 p.m. Accepting donations during business hours or Monday & Tuesday by appointment. Monday - Friday: 9 a.m. – 5 p.m.